SPEAK WITH A TAMPA AREA DOG TRAINER NOW! We train dogs in Tampa, St. Petersburg and surrounding areas. We cover most of Hillsborough and all of Pinellas counties Our training methods are safe and humane and never include clickers, treats or shock collars. If you are looking that wonderful dog you have always wanted, we can help! We know how to work with dogs living in urban environments like Tampa, St. Petersburg and surrounding areas. The diverse terrain and well populated living areas creates unique ownership challenges we can help you overcome. Call us today for an evaluation! We proudly service the Tampa + St. Petersburg area. We have trained thousands of dogs. We guarantee our dog training results in writing. Flexible scheduling and we are always on time. Our training methods are always safe & humane. We never train with treats, clickers or shock collars. We proudly service residents of Hillsborough County and Pinellas County Florida. If you are a resident near or in Tampa / St. Petersburg, we are ready to provide you with a safe and effective dog training solution for your pup. Contact us today to speak with our West Florida dog trainers today! A great value filled dog training package for your dog. This program consists of five weeks of in-home training with one class each week. We address common problems as well as specific behavior issues you may be experiencing. An advanced training program designed to teach your dog both basic commands, plus advanced skills. This program is nine weeks of in-home training, with one class per week. This program is great for dogs who may need a little more help with the challenges they face. It is also great for people who want their dog to be that perfectly trained dog everyone rivals. A great program for dog owners who want the most well trained dog they can possibly have. This program is geared towards older puppies (1+) and adult dogs. This program consist of 14 days of boarding + daily training at our facility plus five weeks of private in-home training lessons, one class per week. If you want the well trained dog everyone talks about, this is your program. This is the best (adult dog) training program we offer, and results are guaranteed. 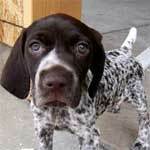 A great program for anyone who wants their puppy to grow into a very well trained dog. 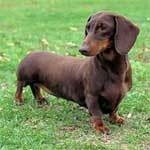 This program is designed specifically for puppies under one year old. This program consists of 14 days of boarding + daily training at our facility, plus five weeks of private in-home training, one class per week. This class will give you and your puppy a huge head start and will nearly guarantee you a life of happiness together. This is the best (puppy) training program we offer, and results are guaranteed. If you have a disability which requires the help of a service dog, we can help you. Our service dog training programs include the training of the dog and handler to help you overcome everyday obstacles. The program includes all necessary training, paperwork and dog jacket required for you to lawfully travel anywhere with your service dog. All dogs participating in our service training must first graduate from one of our boot camp programs. This program is built for people who need their dog with them at all times for emotional support. Our Therapy Dog Training program is an intensive training program designed to provide your dog with the highest level of training specific to your needs. 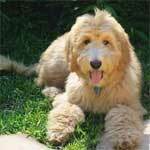 We can help you solve a variety of dog training and lifestyle issues. If you are looking for unique solutions to unique problems, let us know. We are happy to build you a training solution with results you will be proud of. Our customers love us because of the results we deliver. "Dakota was a rescue. She had pretty serious anxiety issues towards other dogs. She wasn't 100% happy, so we wanted to find a way to get her better engaged in life. I can tell a difference every time we work on it. It's a complete transformation." Ready for a Better Dog? These dogs have recently graduated from our Tampa Area location. Is your dog next? Leia was already 3 years old when we met her. She was a good dog, but had terrible manners (jumping, pulling, etc..). 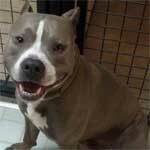 We worked with the dog and family and were able to bring Leia back in line with her humans expectations. Sadi is a small dog with a big attitude. Her owners were at wits end with her barking and lunging at anything that moved. We worked with them over several weeks and saw a night and day improvement. Walks are now a pleasure! 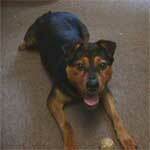 Muffin is an energetic puppy who needed some structure and training. We worked with her for 2 weeks and have seen remarkable results. She is now potty trained, easily manageable and responds well to commands. Zeus was a resident at a local shelter. 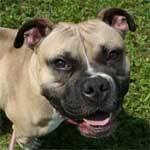 He is a sweet dog, but was not well socialized, causing troubles with getting him adopted. We are happy to say he completed our pogram and has been paired with a loving family! We helped our local rescue shelter get this guy back in line. Jamesons' excessive barking and cowering are a thing of the past. His "bruteness" is also getting much better. This guy is going to be pleasure for someone to own. Beau is the biggest sweetheart of a dog I have ever met. He was very friendly, but had really bad manners. Pulling, jumping, digging... he did it all. We worked with Beau to work on these issues and bring peace to the household.